Ferry service on Shimulia-Kawrakandi route has been disrupted since Tuesday morning due to strong current on the Padma River, inflicting miseries to passengers. More than 400 vehicles including goods-laden trucks and passengers buses were seen stranded on both sides of the river. Besides, each of the vehicles has to wait for more than two hours to cross the mighty river. 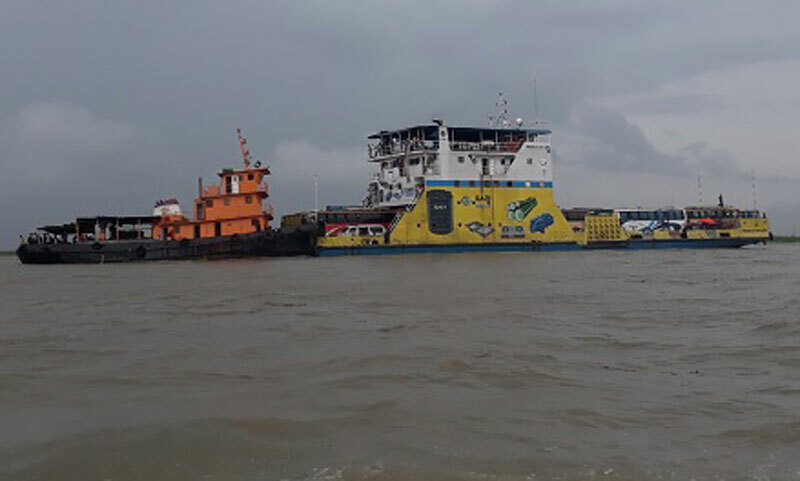 Mohiuddin Rasel, manager of Bangladesh Inland Water Transport Corporation (BIWTC) in Aricha sector, said the ferry service is being disrupted due to the strong current in the channel as well as three ferries of the fleet went out of order.